Our 7 day weather forecast for Holmrook updated throughout the day, making it ideal for planning leisure activities, travel and events. Read more about our weather forecasts. Our weather forecast for Holmrook is updated throughout the day and has been found to be very reliable for planning activities such as days out, leisure, travel, events, fishing, golf and gardening. 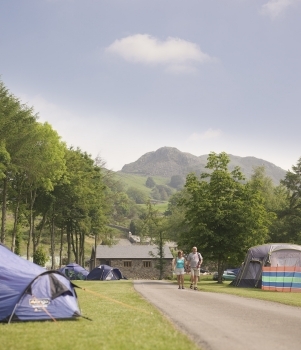 Visit our beautiful campsite at Eskdale; located in the stunning Lake District making it a perfect base for walkers, tent and cycle campers, and motorhomes are also welcome. You'll find all the mod cons including back-backer facilities, drying room, showers, washing machine and a well-stocked shop. And if you prefer something more cosy than canvas, chose from our ten camping pods or our camping barn which sleeps up to 8. The local area boasts dog-friendly pubs, a scenic railway route passing through the Eskdale Valley, and a variety of walks to suit all abilities from Scafell Pike to Stanley Ghyll Falls and Burnmoor Tarn. Or venture a little further afield and visit Muncaster Castle and the World Owl Centre or enjoy the amazing mountain scenery of the Hardknott and Wrynose Pass.